Busy day in Nerd Stalker-ville yesterday. 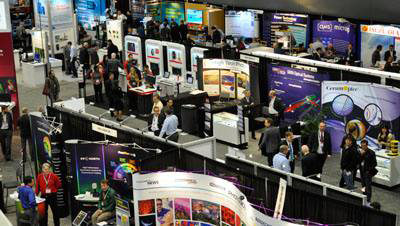 I was able to attend two different conferences at Moscone(aka Geekdom) in San Francisco yesterday - Photonics West and Apps World. Two different worlds - New Tech and Old Tech. I consider the "old tech" approach to be a conference centered around an academic world where sharing seems guarded and the "new tech" approach to be a conference centered around the ability to share openly. But, alas, the two worlds collide. Check out my summary below. Don't get me wrong, this is the conference to be at if you are into any kind of laser/optics oriented product. You can get anything here and see most of the top level vendors in the optics world. 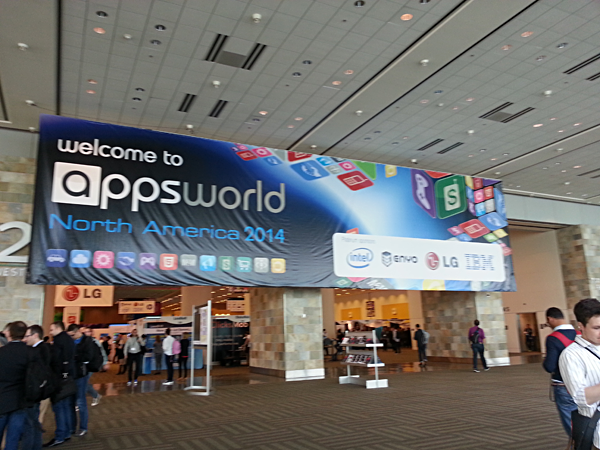 One thing that struck me were the amount of suits here (as compared to Apps World). The advances in Solid State lighting can be found here like the Titan LED with more light and less power consumption. Advances in cancer detection technology was announced here as well. As far as the mobile and wearable technology, the devices here can drive the touchless sensor technology which can be a boon for portable devices in terms of hygiene (No need to touch the screen) and bring the promise of bio-sensing in the mobile device. If you are into Micro Electro-Mechanical Systems (MEMS) you won't disappointed as well as this is the premiere place to see the latest in MEMS or Micro Optical Electro-Mechanical System(MOEMS). This is a place of inspiration by visiting this show. This is the place where the "old tech", "new tech" worlds collide. Apples uses a MEMS microphone. Google probably even shops here for components for their MEMS camera. The talks require an attendance fee but the exhibit floor is free. If you are a SPIE member you will get even deeper discounts. Put it on your radar for next year. For the "new techies" in SF, this is a great show. It covers a lot of ground in the apps market. The 2014 show really mirrors the sign of the times for the mobile app arena. A lot of emphasis was placed on mobile user acquisition, app testing, and performance optimization. All the issues facing the crowded app market. Steve "Woz" Wozniak stole the show with some memorable quotes. You can hear our recording here. Wearables were highlighted at this year's show. Trak Lord from Metaio discussed how AR can enable enterprise via repair manuals, some movers in 3D visualization with Intel Real Sense, Apple PrimeSense and Occipital's 3D sensor for tablets. One thing mentioned to me by one of the tech writers in the press lounge is that security companies did not have much of a presence despite all the privacy/security concerns going around. Food for thought.